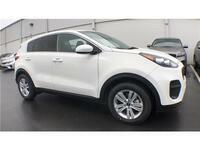 Over the past handful of years, a growing trend in the SUV market has been the rise of the compact SUV. 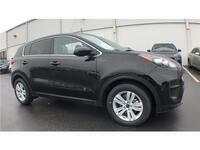 More and more drivers are choosing these smaller and more efficient SUVs over the larger options. 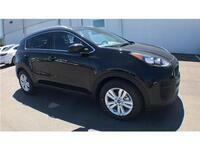 One of the models leading this charge in popularity is the Kia Sportage. Now, the newest edition of the Sportage, the 2019 Kia Sportage is available at Citrus Kia! 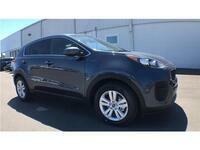 The newest edition of the Kia Sportage looks to be its best yet! If you're looking to learn more about it, you've come to the right place! For this model research page, we're going to break down everything you need to know about the 2019 Kia Sportage from its engine specifications to its drivetrain to its safety features! Let's see what this compact SUV has to offer! 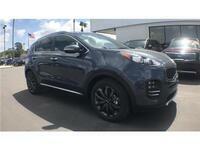 The 2019 Kia Sportage comes standard with a spunky and efficient 2.4 liter I-4 engine that offers an impressive amount of performance, delivering 181 horsepower while still getting up to an EPA-estimated 30 mpg highway! And, for those looking for a little more power, there's the available Turbocharged 2.0-liter I-4 that offers a whopping 240 horsepower and 260 lb-ft of torque! If you feel that two-wheels just isn't enough for you most of the time, then you'll love the 2019 Kia Sportage's Dynamax All-Wheel Drive (AWD) system! This AWD system is smart in that it'll detect when additional power and traction is needed and adjust, so you'll save on efficiency! Plus, it can adapt to any surface and condition from rain to snow to sand to mud! Of course, it wouldn't be a Kia without the latest technology features! Drivers of the 2019 Sportage will have access to all the conveniences of Kia's UVO eServices system! UVO eServices helps keep track of important information for drivers like trip data and vehicle diagnostics so it's easier to keep an eye on your car than ever! 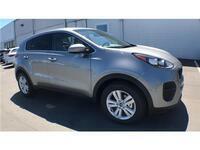 Test Drive the 2019 Kia Sportage at Citrus Kia in Spring Hill, Florida, Today! With the 2019 Kia Sportage, drivers also get Kia's advanced suite of safety features and innovations known as Kia Drive Wise. These technologies aim to make driving safer by making drivers more aware and less fatigued while driving. Like the Autonomous Emergency Braking, for instance. This feature will monitor the distance between you and the car in front of you and will even apply the brakes if it detects a collision is about to occur. And there's the Blind-Spot Detection system which will always warn drivers when another car is in their blind spot. Want to learn more about the 2019 Kia Sportage? Ready to get behind the wheel of one? 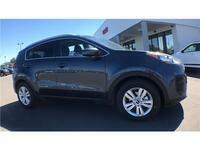 Contact our staff at Citrus Kia for more information or to schedule a test drive today!